In case you don't have the memory of an elephant, the only other project I've gotten around to posting for my Flour Sack Project was a method for wrapping. This one is..also a method for wrapping. I think that tells you something about me. Mainly that I hate spending money on wrapping paper and boxes and stuff. And that I don't love wrapping things. I've wrapped a bunch of presents in these bags and it's faster (for me) than wrapping something in wrapping paper. Seriously. Flour sack dishtowels have four sides (obvs)- two of which are selvage edges and the other two of which are hemmed. The hems are open on either end. 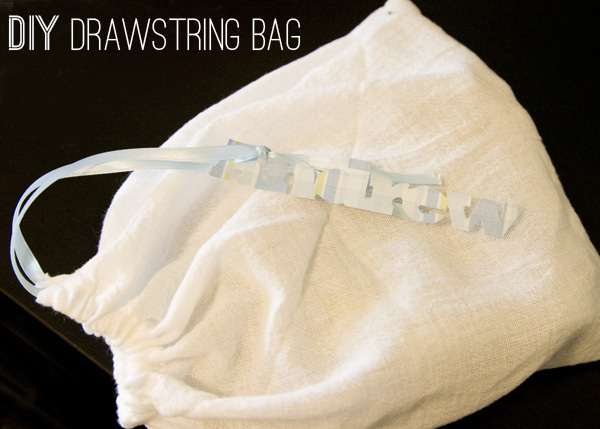 Which makes for a super easy drawstring bag. 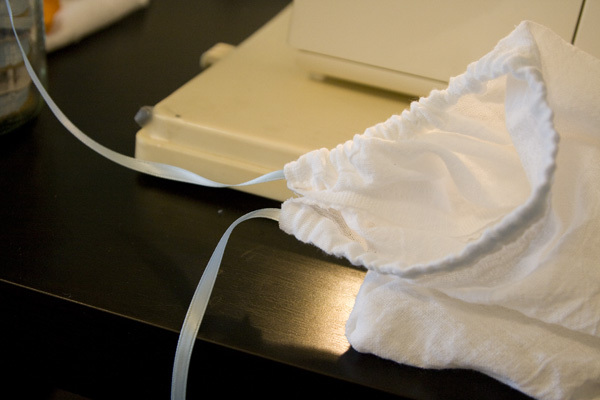 Fold your towel over on itself (right sides together) with the hemmed side at the top. 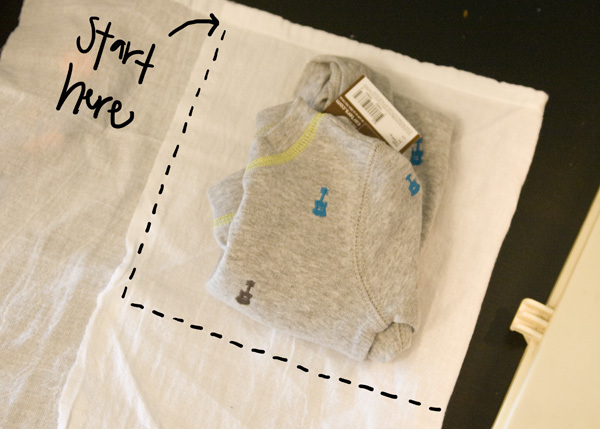 Place whatever it is you're wrapping on top and adjust until it's about the right size. 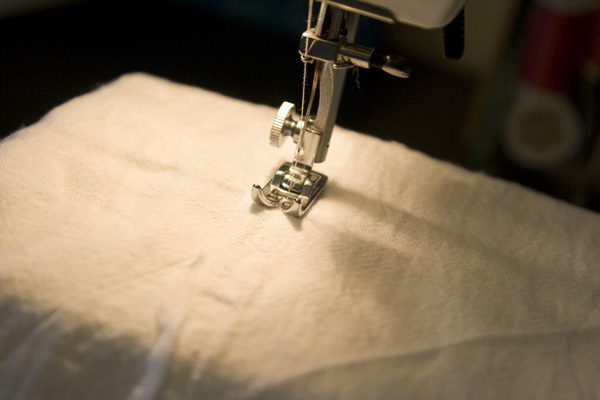 Start sewing UNDER the hem. 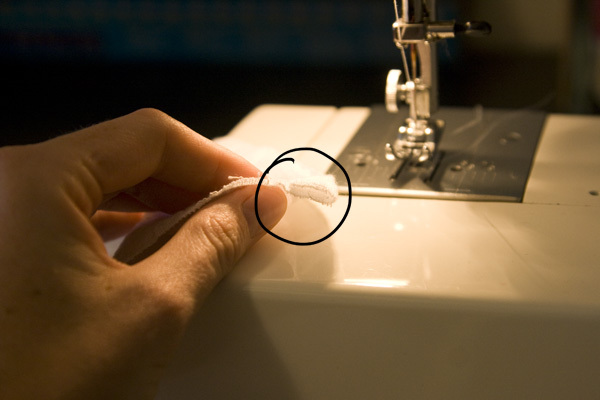 If you sew through it you won't be able to get your string through. Pink around your two sewn edges so they don't fray. Then turn your bag right side out. Iron if you've actually planned ahead and aren't supposed to be walking out the door with a wrapped gift in the next two minutes. The black is where my stitches were. The white on white wasn't particularly visible in pictures. 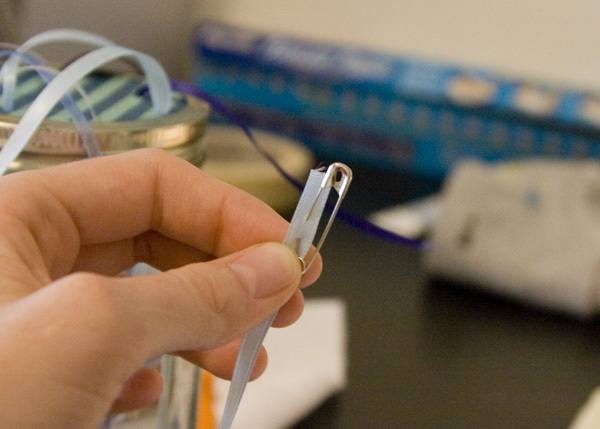 Take a safety pin and thread the end of some ribbon on it. 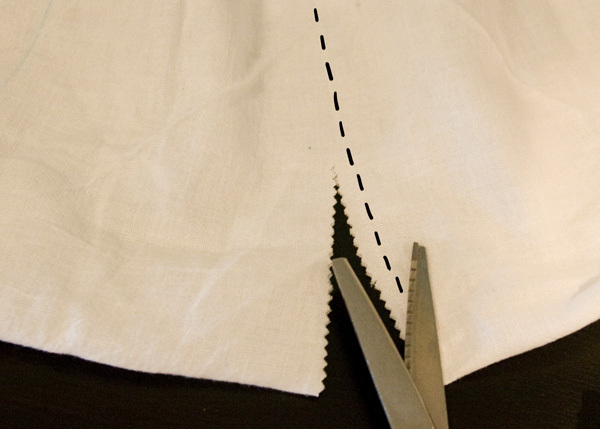 Use the safety pin to work the ribbon through the hem of your bag. Knot your ribbon, stick your present inside, add a pretty gift tag if you're so inclined and you're done! cute, Kayla.....i might have to try this sometime. i am known at baby showers, etc, as the queen of fun wrapping ideas. Hmmm, I'm not good at wrapping, not good at sewing, but just got my grandma's old sewing machine, so I may try to figure this out! Thanks for the tutorial. I love this, especially for wrapping teacher gifts and such! Thanks for sharing!